WeKleen, Inc. is a high performance professional cleaning company specializing in the commercial, faith-based, and public sectors. Incorporated in 2002, WeKleen has helped clients maintain a clean and appealing business environment. We are meticulous in our approach to cleaning and, hence, provide services with the highest level of detail and professionalism. Servicing the Greater Washington, DC Metropolitan Area, WeKleen is committed to building client relationships based on integrity, quality service, excellent customer care, and competitive pricing. WeKleen is licensed, bonded and insured. WeKleen is co-owned by two successful entrepreneurs, Dr. Rev. Harry L. Seawright and E. Cornell Alexander. Prior to becoming business partners in 2007, Rev. Seawright and Mr. Alexander built successful businesses that currently service the greater Washington, DC area. Rev. Seawright is also the CEO/Founder of Prestigious Property Management, Inc., and HLS Consulting, Inc., which specializes in church construction, management and administration. Mr. Alexander is co-owner of Alexander Security Consultants, LLC—a Maryland-based firm that provides investigative and protective services to government agencies, commercial firms, houses of worship, and property management companies. WeKleen takes pride in its high performing team. Our knowledgeable managers, professional administrative staff and hardworking janitorial crew adhere to very high company standards. 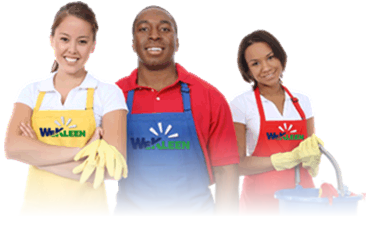 All members of the WeKleen team speak English and report to work sites fully uniformed. To meet the needs of the diverse Washington, DC market, many of our janitorial technicians are fully bilingual, speaking English and Spanish. Because integrity and a strong work ethic are important to WeKleen, each employee is pre-screened and undergoes a thorough background check. This check includes an investigation for criminal history, a review of employment history, personal reference checks, and drug testing.